The 2016 Europe Cash Cycle Seminar (ICCOS) drew to a close on 18th February in Cascais, Portugal after four days of interactive sessions, a Central Bank Summit and a Post-Seminar Symposium. Organized in partnership with Banco de Portugal (BdP), the sixth annual running of the event was highly lauded as a success. 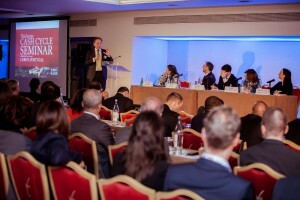 As an attendee from BdP remarked: â€œThe information that I got from contacts with people from different areas of the business and different zones of the world was very fruitful.â€ The Europe event marked the start of Currency Researchâ€™s (CR) 2016 Cash Cycle Seminar calendar that includes Macau, China in September and Miami, United States in November. 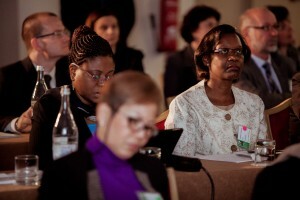 Over one hundred organisations, from thirty countries gathered at the seminar with sixteen central banks being represented, including Ukraine, Mozambique, Israel and Angola. This diversity provided an international perspective with a regional focus when discussing matters such as the latest trends, issues, challenges and innovations in cash handling and management. Varying insights on the cash supply chain were also contributed by commercial banks, cash logistics companies, cash management companies, banknote equipment manufacturers, and software solution providers. A variety of national and international law enforcement agencies complemented the agenda with interesting perspectives from outside the industry. These agencies were keen to add their views during the seminar and examine possible measures with the industry that could mitigate the adverse effects. The focus was primarily on counterfeiting but also touched on key dilemmas faced in the sector, including the current threats presented by cash, particularly high denominations and the relationship with money laundering. The day prior to the main seminar, CR worked closely with BdP to hold a closed-door Central Bank Summit where participants were invited to choose between issues and themes presently affecting Central Banks and the cash cycle. The twenty-four attendees voted to hold round-table discussions on The Estimation of Banknote Demand – Why is it important?, Cash Circulation Models, and Business Continuity Planning. A delegate from the Central Bank of Israel pointed out the summit was â€œthe highlightâ€ of his seminar and many other delegates were in agreement. BdP steered the discussions towards certain key areas within the topics and their insight proved invaluable. The first day opened with a hospitable introduction from a senior figure within BdP, Mr. JoÃ£o JosÃ© Amaral Tomaz, who provided a brief background on BdPâ€™s current activities. Session One was kicked off by Mr. AntÃ³nio Garcia, BdPâ€™s Head of Issue and Treasury Department, who furthered Mr. Amaral Tomazâ€™s points by providing context and detailed insight in his presentation The Portuguese Cash Cycle – Recent Developments and Future Trends/Challenges. In Strategy on the New Cash Center Outlook by Alain Gerbier, Head of Cash Management at Banque de France (BdF), event attendees were among the first in the world to hear about the intricacies of BdFâ€™sÂ drivers surrounding four key programs that were established when developing an industrialized strategy towards cash management and modernization of BdF’s processes. The global strategy aimed at enhancing efficiency in France’s cash cycle includes twoÂ new automated Cash Centers in La Courneuve (Paris) and Lille, as well as adaptations to the existing centers and new IT systems. Another of the key programs concluded with the acquisition of 45 best-in-class, high speed banknote sorting machines which will further facilitate efficiencies. This well-attended session provoked many questions and discussionÂ relating to the capital expenditure as well as to BdFâ€™s justification of the overall investment. The detailed response included a rationalization by way of reducing the number of Cash Centers to 36 by 2020 (currently 63), the introduction of CHTOs, andÂ BdF’s intentionÂ to encourage the increase of cash re-circulation in the market to just under 50%. 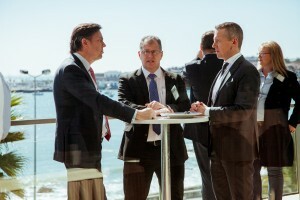 Oliver Pannke, Head of Business Line Software & Eco-System at Giesecke & Devrient, rounded off the morning in Raise Your Expectations – The Connected Cash Center shortly before the delegation entered their respective breakout meetings presented by event sponsors. After enjoying some late February sun on the beautiful Portuguese coast, the delegation returned for a thought provoking afternoon focusing on Cash Management, Demand and Costs. Benedita Guimino, Director in the Issuing and Treasury Department for Banco de MoÃ§ambique (BdM), opened proceedings with an insightful talk regarding the Impact of Low Denomination Banknotes and Coins in Monetary Circulation in Mozambique. Ms. Guimino highlighted some truly astonishing figures – for instance from 2011-2015, in terms of quantity of banknotes in circulation, BdM registered an increment of about 52% and coins registered an increase of 55.4%. The total value of monetary circulation therefore increased by 80.49% and consequently, as an annual average, the value of banknotes and coins registered a growth of 16.09% and 12.05% respectively. In tandem with this growth BdM has seen levels of counterfeit notes in circulation decrease at an inversely proportional rate. Ms. Guimino concluded by alluding to BdMâ€™s future plans via the installation of a laboratory for banknote and counterfeit analysis combined with a continued modernization of Mozambiqueâ€™s cash centers. 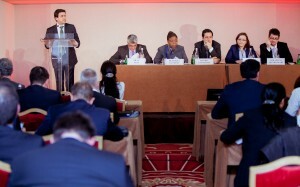 In his case study, Cash Demand Forecasting and Cost Optimization in Croatia, Ranko AntoloviÄ‡, Head of Cash Services at ZagrebaÄka banka (ZABA Bank), discussed how the bank effectively reversed its current cash supply management processes in order to achieve greater efficiencies and substantial savings. Mr. AntoloviÄ‡ touched on many key issues resulting from the decision to adopt a tailor-made cash forecasting/CMS (cash management system), which gave staff the ability to interact with software on several different administrative levels. He also noted the initial resistance from branches caused by the CMS dictating how much cash the branch will receive. Capping off the first day of the seminar, delegates enjoyed two thought-provoking presentations from Narodowy Bank Polski (NBP) and SIBS Forward Payment Solutions. After a day filled with industry insight and expert opinion, the delegation came together for an evening of informal networking starting with a cocktail reception held in the main exhibit hall before heading out to sample the wonderful variety of restaurants along the Cascais shoreline. Launching the second dayâ€™s proceedings was a Panel Session on Cash Recirculation and General Variables in a No Model Fits All Perspective. Covering a wide variety of issues and concerns within the industry, the panel was led by Leonor Machado from Caixa Geral de DepÃ³sitos with a panel of four industry experts: David Hensley of Cash Services UK; Erwin Wetzel of European Vending Association (EVA); Maria de GlÃ³ria MorÃ£o Lopes of ESEGUR; and Meritxell Serra Sanz of Grupo Santander. The second session of the day was a perfect opportunity for delegates to take note of Portugal- specific matters within the cash cycle. Maria da GlÃ³ria MorÃ£o Lopes, CEO of ESEGUR, presented on The Role of CIT Companies in the Innovation & Optimization of the Cash Cycle with a strong focus on NHTO policies. In Cash in the Retail Industry, ConceiÃ§Ã£o Carrapeta, Head of Financial Operations at Grupo Jeronimo Martins, explained the key tenets in the processes of a retail sector and highlighted how, in the eyes of consumers, alternative payment methods are not yet reliable enough nor widespread enough to oust cash as king of consumer choice. In the dayâ€™s final session, Martin FÃ¼rbach of the University of Lausanne provided a research-based perspective in Counterfeits in the Cash Cycle: Threats, Solutions, and the Role of Forensics, considering a wide variety of issues and challenges posed by the counterfeiting community. With the second day drawing to a close Nelson Tavares de Pinho, Director of Operations at TecBan, stepped up to the podium to highlight a fascinating case study from Brazil regarding the Independent ATM Deployer’s Role in Cash Distribution. TecBan was integral to 1.3 billion transactions last year and the organizationâ€™s awareness of the Brazilian market shone through in the presentation. World-leading event sponsors conducted a range of in-depth breakout meetings and hosted an interactive exhibit hall, where delegates were given access to the latest, cutting-edge technologies, concepts, trends, and solutions impacting the cash handling and management industry. There was a lot of energy in the hall and breakout rooms. Platinum sponsors Giesecke & Devrient hosted meetings that educated attendees on new solutions to benefit their organizations via the breakout sessions: Cash Management Software: Partnership Makes the Difference and The Path to One-Touch-Handling of Cash: Smart Automation and Standardization. In Does One Solution Really Fit All?, gold Sponsors De La Rue examined how cash processors operate using different business models depending on the size of their operation, from industrial bulk to small and scalable, while Innovia Systems highlighted how the introduction of new substrates and security features means that many traditional detection devices are not able to offer state-of-the-art security capability. This dilemma led to the development of a range of detection devices with applications in all sectors of the industry. Other breakout meeting highlights included NCRâ€™s Managing Cash at 360Â°, which explored how financial institutions are increasingly sensitive to customer behavior of anytime-anywhere banking and the impacts this has on the cash cycle and key stakeholders. Optaglio utilized their slot to provide further information on their new generation of level 1 security features via holograms for banknote protection, which need to be seen to be fully grasped due to the extremely complex and unique diffractive structure, which is a practically copy-proof method under optical scrutiny. The 2016 Sponsor Group comprised Giesecke & Devrient, De La Rue, Innovia Systems, ESEGUR, NCR, Optaglio, PlusOneMinusOne, Prosegur, Sautner & Partner, Spinnaker, Wincor Nixdorf, Advanced Track & Trace, Crane Currency, Debatin, and Sargent & Greenleaf. Media partners included PLUS Alliance Journal, Currency News, Intercrim Press, and Counting on Currency. Thursday provided a full morning of activity via the Post-Seminar Symposium on Banknote Production – Where the Cash Cycle Begins, which has established itself worldwide as a fantastic resource for participants to learn more about the beginning stages of the cash cycle, including banknote design, printing, and issuance, and how the decisions made at this stage ultimately impact the entire span of the cycle. Symposium presentations gave participants a detailed insight into banknote production and included a joint talk from FrÃ©dÃ©ric Beauchet of Banque de France and Zbigniew Sagan from Advanced Track & Trace, who presented on the Digital Approach to Banknote Authentication. Manuel Mourato from Policia Judicaria de Portugal discussed A Substrate View by a Forensic Expert from the Portuguese Judiciary Police: Polymer, Hybrid and Paper. After a short break Zeina Abdo (Crane Currency), Paul Binning (Royal Mint) and Oliver Pannke (Giesecke & Devrient), took to the stage to explain how their organizations are ably providing a range of solutions for the industry to assist in efficiencies, production and alternative methods. Preparations Already Underway for Europe Cash Cycle SeminarÂ 2017! To close the event, Ms. Nena Vukicevic, CR Managing Director of Europe & Africa, revealed the location of the next Europe Cash Cycle Seminar: Budapest, Hungary in March 2017! According to Ms. Vukicevic, â€œWhen it comes to cash usage from region to region in Europe, the landscape is so diverse with so many different trends. However, cash is still used in such volumes that one needs to constantly strategize and plan around secure and efficient usage – this is what the Europe Cash Cycle Seminar promotes. 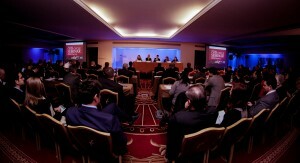 We appreciate the participation and contribution of those who attended Lisbon and we look forward to welcoming everybody in beautiful Budapest next year.â€ Currency Research is looking forward to expanding on the excellence of the sixth Europe Cash Cycle Seminar in Cascais, Portugal as it plans for the next seminar. CR will continue to maintain its focus on advancing cash management education and training, as well as providing opportunities for meaningful networking among all cash stakeholders across the globe. Ensure that you make plans to join your industry colleagues at the next Europe Cash Cycle Seminar (ICCOS) or join your peers at the Asia Cash Cycle Seminar (ICCOS) 2016 that will soon take place in Macau, China from September 26-29, 2016. For more information and to register for Asia Cash Cycle Seminar 2016, please visit the ICCOS Asia website.